For your convenience we are able to offer customized packages to make the process of arranging treatment easier to manage. 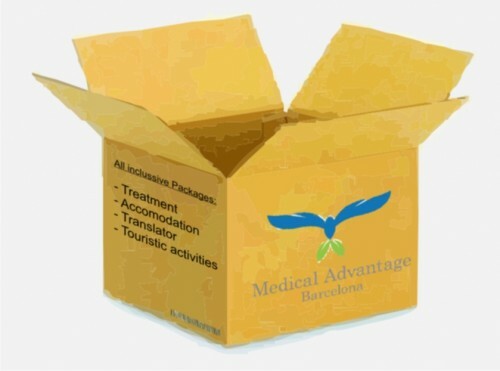 Working cohesively with medical professionals and our travel partners we have created flexible and personalised packages, which cover comprehensively both the medical and travel related elements of the package. Cost of the procedure and related hospital costs. Up to 7 nights hotel accommodation for you and your travel companion, breakfast included. An appointed Paitient Coordinator who will be on hand to offer assistance throughout the duration of your stay in Barcelona. Private transportation as and when required. The option to select from a wide programme of touristic activities. (*) Only standard preoperative tests are included, should you require additional tests, these can be arranged upon request and will be charged accordingly.